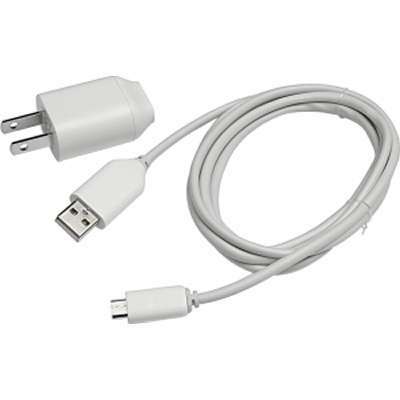 4XEM's Kindle Charger and Cable Combo Kit features an ultracompact Kindle USB Wall Charger/Power Adapter plus a durable 6 foot Micro UBS to USB charge and data transfer cable. Juice up your Kindle Paperwhite, Kindle, Kindle Touch or Kindle DX using the supplied adapter, cable and a standard household outlet. A full charge in four hours or less gets you right back to the next chapter of that page turner. Does not work with Kindle Fire models. Problem it solves: No need to connect your Kindle to a computer for recharging. With the Kindle Power Adapter/Wall Charger and USB cable you can easily plug into any household outlet for a quick boost! Also perfect as a replacement or extra charger and cable. Shop with confidence! Provantage is an authorized 4XEM dealer.